The United States is experiencing remarkable demographic changes that are having an important impact on the American electorate. As the minority share of the voting-eligible population continues to grow, the political clout of non-Hispanic whites will further decline. The 2012 election demonstrated that the Democratic Party can secure an Electoral College victory even when it loses badly, in the aggregate, among non-Hispanic whites. This does not mean that white voters are unimportant, however. The political behavior of whites in the decades ahead will largely determine the direction of American politics. 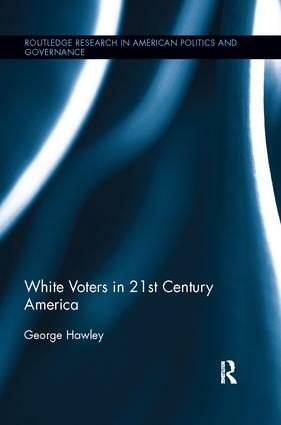 Whereas other books have examined the political behavior of specific social classes within the non-Hispanic white community (working class whites, for example), this is the first book to examine whites as a whole, and provide a useful summary of recent trends within this group and thoughtful speculation about its future. Is There a “White Vote”?